Ruby Lee is a fifth grade student who has just won a contest. The problem is the prize she had hoped to gain was not something she wanted; it was to deliver a speech about her town at the first event ever held to celebrate life in Ruby’s town. Her friends and family congratulate her, but Ruby is terrified. The only time she had appeared on stage at age six had been a disaster because she had forgotten all her lines! Ruby wishes she could vanish into thin air. Alice boasts that she has worked with some of the greats of the acting world. One evening she drops a picture signed by Johnny B., which Ruby picks up and places in her pocket for good luck. The big day has finally arrived. Has Ruby been able to internalize her Great Aunt’s tips in her quest to overcome her fears? How will the big speech go over? This book can be used a guide for anyone, child or adult, who is afraid to speak in public. 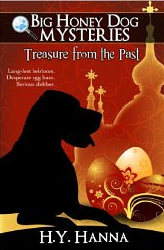 Ruby’s story is in the format of an early chapter book and is an entertaining read for young readers. 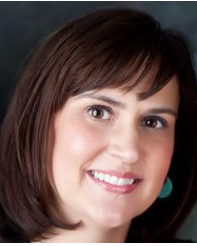 The author, who was once just like Ruby, is now a public speaking coach. The cast of characters included at the end of the book is a nice little time capsule of acting greats at the beginning of this century and is a bonus for those interested in the theater and the movies. I recommend this book as an interesting chapter book that promotes self-confidence for those who are shy. Children and adults ages seven and up will enjoy the read. What an adorable tale of friends helping friends in need! Lobo, the wolf pup, calls out to his friend, Roxy Raven in his tree when he observes that a creature with blue feet has just fallen from the sky. After patching the creature’s broken wing with a band aid, they learn that his name is Bobby Bobo. They decide that they will help Bobby get back to his home beach..
That leads them on an exciting adventure where they will meet new friends like Sunny the Seagull and Coconut, the sand crab. After visiting several beaches, the friends are still unsuccessful. Will Bobby ever find his home and what will happen to his new friends? The illustrations are bright, bold, colorful and cleverly laid out to appeal to even the youngest reader. A simple map included at the end is a plus. Murphy uses alliteration and repeat word phrases effectively to make the story lyrical and appealing. There are lots of cute touches like Sunny doing “sand angels.” Children will enjoy this story of animal friends and the lessons they teach about persistence, safety, loyalty and devotion. I highly recommend this beautiful book as a bedtime story, class read aloud or as a gift to a special child in your life. Appropriate for all ages but especially for preschoolers and children in early elementary grades. Kimberly Sentek has spent her entire life telling stories–so much so that her parents swear she was born talking. A lifelong resident of New Jersey (and a huge fan of Bon Jovi), Kimberly is owned by two cockapoos, Nico and Tugger. 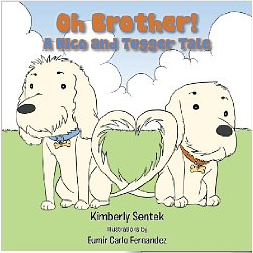 Her first book, Oh Brother! : A Nico and Tugger Tale, was inspired by them, and she hopes to continue writing a series of books about her two furry children. The fourth book in this series Little Miss HISTORY Travels to FORD’S THEATER is COMING SOON! Little Miss HISTORY is the name of my character. She is a wannabe park ranger wearing camping clothes and hiking shoes that are three sizes too big. 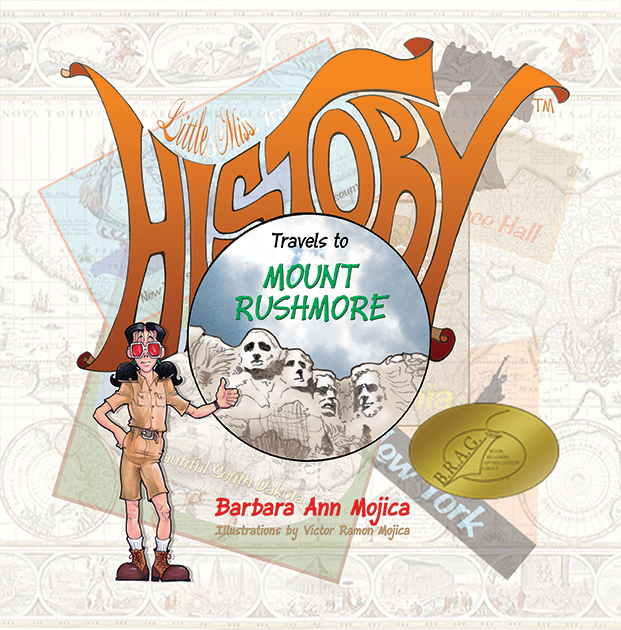 Little Miss is an optimist who views the world with rose-colored glasses guiding her readers on adventures to historic events and places that make learning about history a fun experience for readers of all ages. The character is a real one based on a younger version of myself. Little Miss HISTORY is always up to a challenge. She might be skydiving, scuba diving, or repelling. She will do whatever it takes to reveal little known facts in a humorous, pictorial and fun to read format. Adults who come along on her adventures will be amazed at the knowledge they will be discovering along with their children. Teachers will find the series easily accommodates common core curriculum standards. 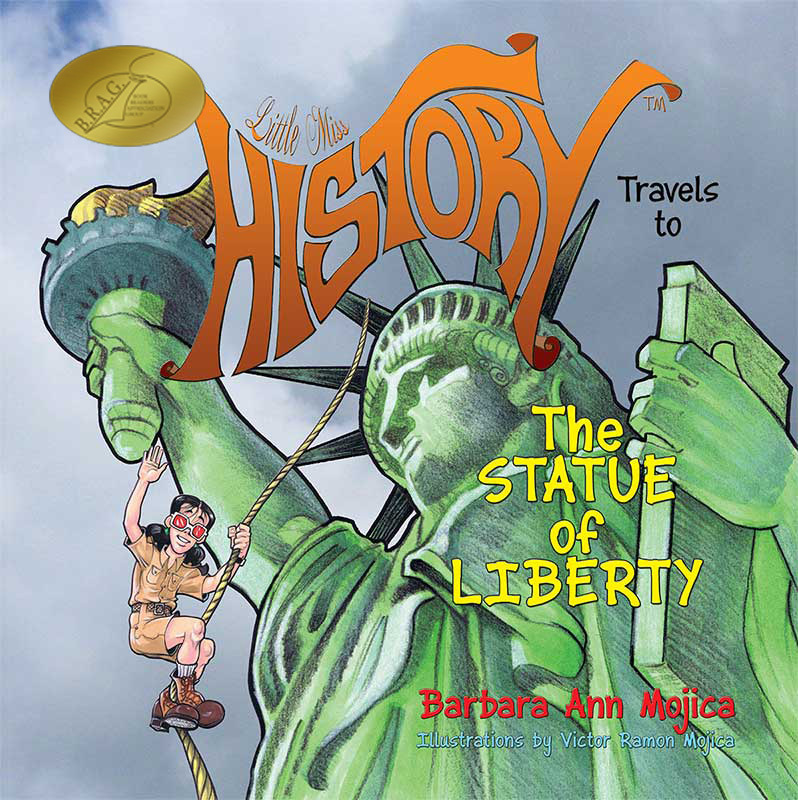 Miss HISTORY reveals all the challenges, problems, risks and dangers that the real historical characters encountered in the planning, construction, and events that occurred in the monuments and places that she visits. Her goal is to make learning about historic events and places a fun experience. Miss HISTORY’s motto is “If you don’t know your history, you don’t know what you’re talking about.” She wants her readers to understand that by learning about the past, you can better shape the events of the future. Of course she would also like children and caretakers to be encouraged to visit these sites in person to explore and learn on their own. 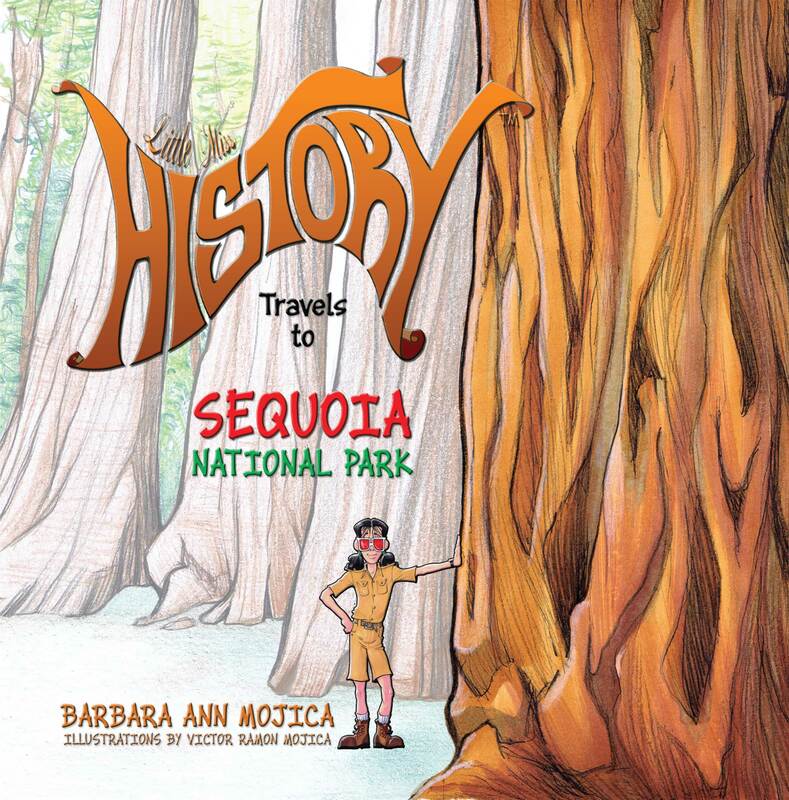 All the books in this nonfiction picture book series begin with Little Miss HISTORY Travels to….So far she has journeyed to MOUNT RUSHMORE, THE STATUE OF LIBERTY AND SEQUOIA NATIONAL PARK. Next destination will be FORD’S THEATER, which is currently in production. 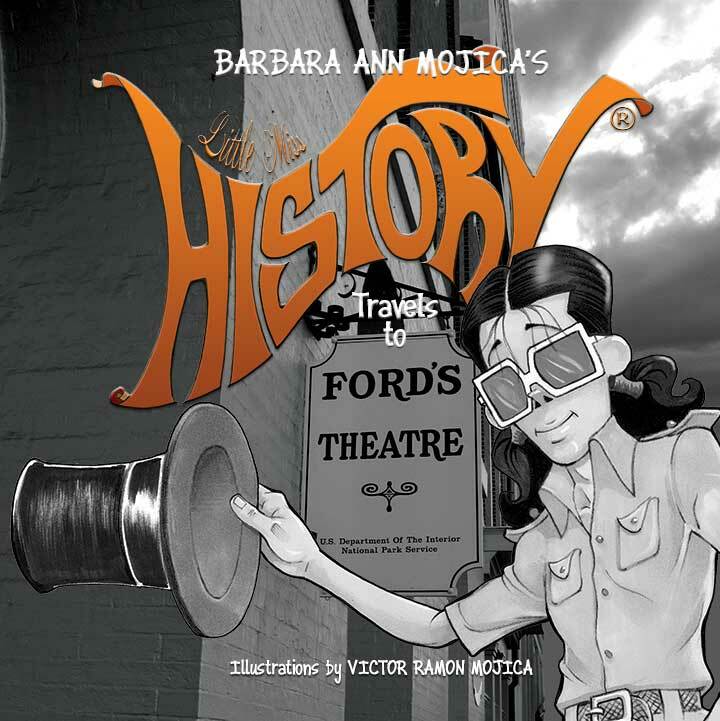 Little Miss HISTORY Travels to FORD’S THEATER will be released around the end of this year. AWARDS: MOUNT RUSHMORE AND STATUE of LIBERTY books have been awarded B.R.A.G. MEDALLIONS. Thanks so much for stopping by the MEET THE CHARACTER BLOG today! Bye for now…. The author sets out to set straight the facts about velociraptors made famous in the Jurassic Park movie, which are in many ways misleading. They were not huge animals, probably the size of a large chicken; they were appear to have been solitary animals, and they were warm blooded, not cold blooded like the large dinosaurs roaming the earth at that time. The velociraptor’s name means swift seizer and it flourished in the Cretaceous period about 75 million years ago, shortly before the dinosaurs were wiped from the earth by some disaster, probably a meteor. It probably did not live in the United States but in a hot, arid climate like central Asia because no skeletons have been found in the U.S. Their bones are hollow like that of a bird They probably had feathers, not the scales of cold blooded reptiles. The animal probably stood only two or three feet tall and weighed about 30 pounds similar to the size of a human toddler. Characteristics that the movie presented accurately include the over-sized back feet claws and the serious teeth. 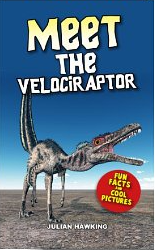 The velociraptor had a large brain compared to most dinosaurs and fairly sophisticated sight, hearing and smelling. They probably foraged and hunted for food and had a lifespan of about twenty years. With their long back tails, velociraptors probably had a good sense of balance and could jump very well. So are we surprised that Hollywood actually modeled the dinosaur in the movie on the larger deinonychus, but changed the name to velociraptor because it had a better ring to it? Children and adults who are into dinosaurs now have the real scoop. I read the kindle version on an HD Fire, but the photos could not be fully appreciated. Print versions show better detail. Recommended for ages eight and up. This book is an interactive adventure for children age ten and above. The setting is Serengeti National Park. A young boy traveling in a Land Rover on safari is our protagonist. He is standing beside the truck taking photos when suddenly it zooms off. No one appears to notice that he is missing. Suddenly he is alone being chased by hyenas faced with his first decision. Should he climb an acacia tree or follow a dried creek bed to get out of viewing range? At the end of each chapter, the reader is given the opportunity to determine the outcome of the story. Each section has two choices. Readers may decide to go back and change their mind or reread the story an entirely different way. Students will enjoy being in control of the outcome of their adventure. The author provides tips on how to navigate the story on different types of devices. The size of the chapters make them perfect for teachers to use as a short classroom read aloud over a period of several days. 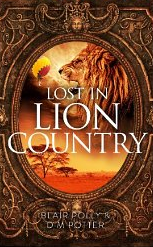 Topics are interesting for adventure lovers, environmentalists, animal lovers and enthusiasts of African culture. 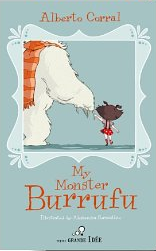 Highly recommended for reluctant readers. 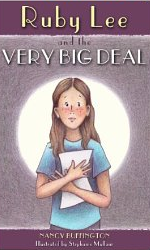 The complexity of text is just right for middle school readers, but is not condescending. As an adult, I found it pleasurable to read as well.